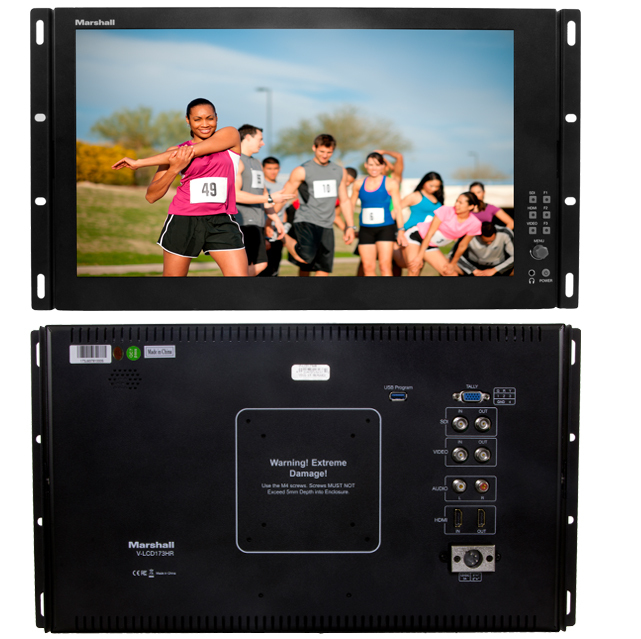 The Marshall V-LCD173HR is a 17.3-inch production monitor with a number of adjustable video settings including peaking, false color, exposure, histogram, safety markers, and more. The V-LCD173HR has HDMI/HDSDI inputs and outputs and can monitor audio as well. 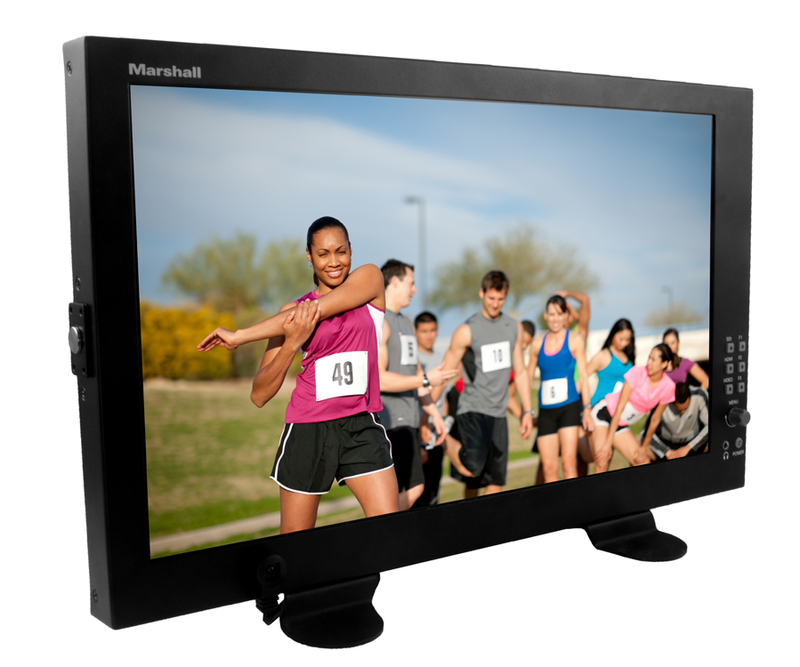 Optional Desktop StandThe Marshall V-LCD173HR 17.3-inch native resolution (1920 x 1080) production monitor comes with a range of professional adjustment settings and convenient HDMI/HDSDI inputs and outputs. 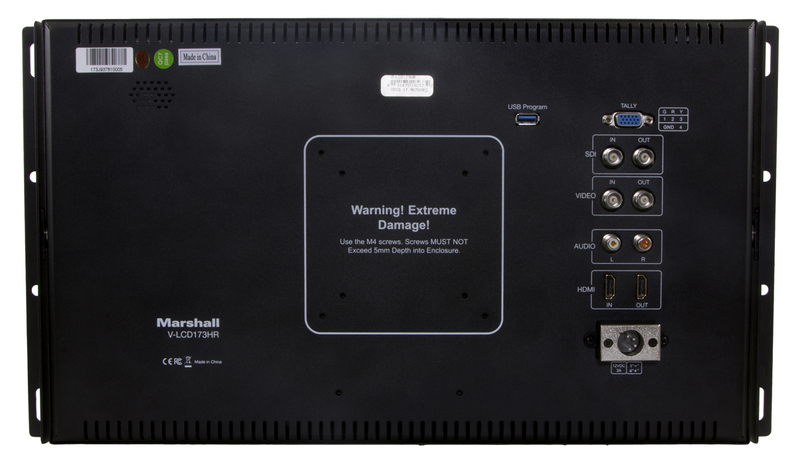 The Marshall V-LCD173HR comes with built-in histogram, peaking, false color, exposure, adjustable safety markers, and more, and can monitor up to two audio channels as well. 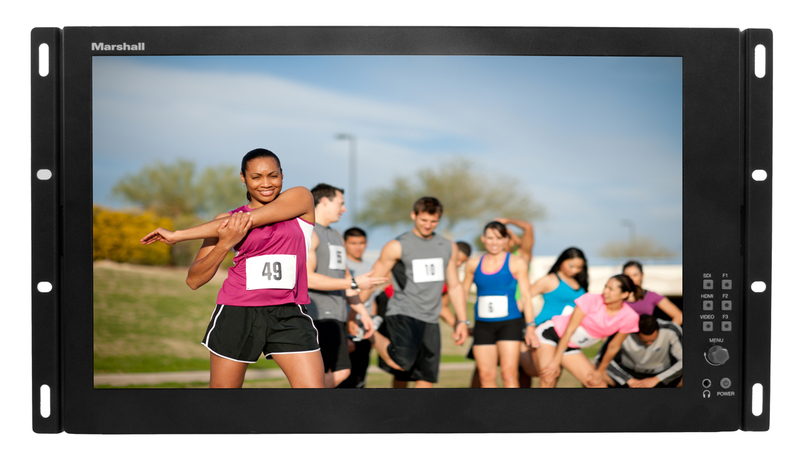 The V-LCD173HR offers unprecedented value for the price and has a versatile 6RU frame that can be rack mounted or used on a desktop. 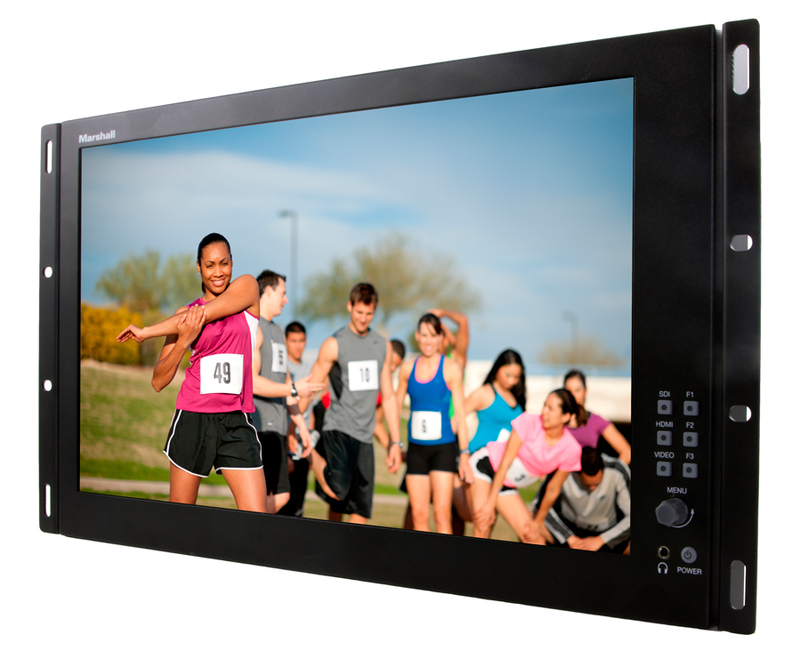 The V-LCD173HR can also convert between HDMI and SDI signals.